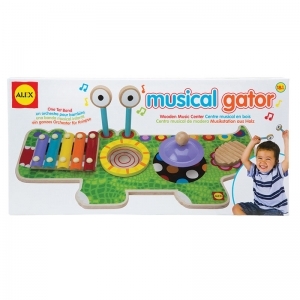 Jam, sing and play with Musical Gator. 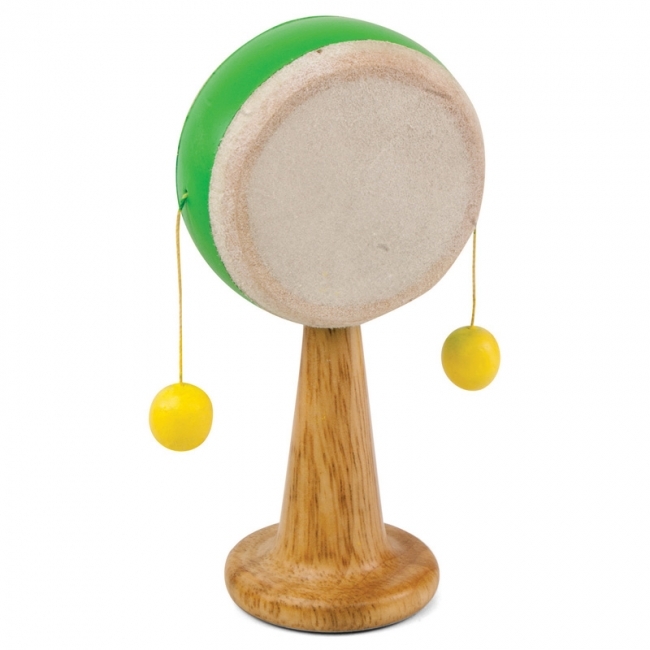 It's four musical instruments in one, so your little one can be a one tot band with this wooden music center! The beautiful, bright Musical Gator includes a rainbow xylophone, 2 mallets, cymbal, drum pad and wash board. Music is an amazing way for children to develop their own creativity, learn concentration and coordination. 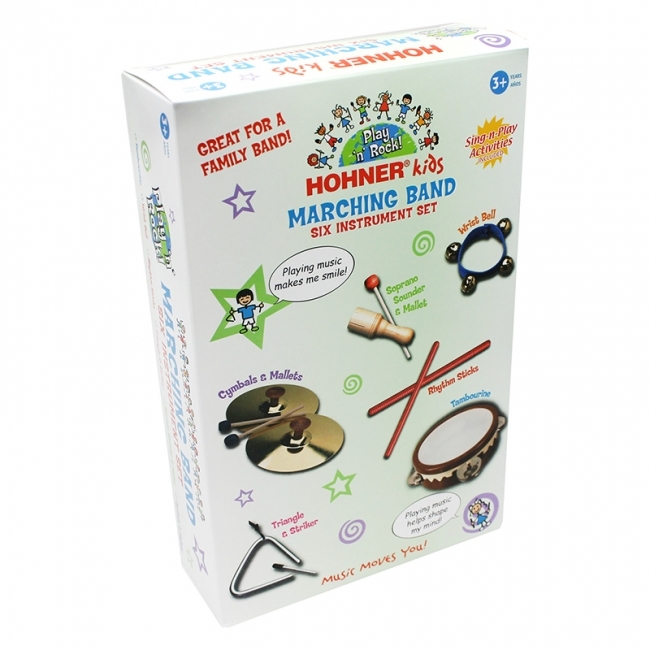 You'll be amazed at what your child can play! 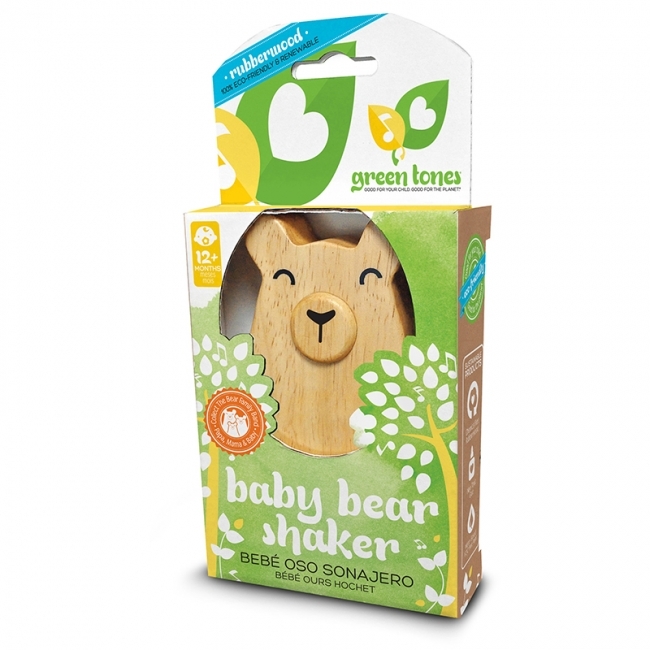 One piece shape is 5" long and constructed of environmentally friendly Rubberwood. 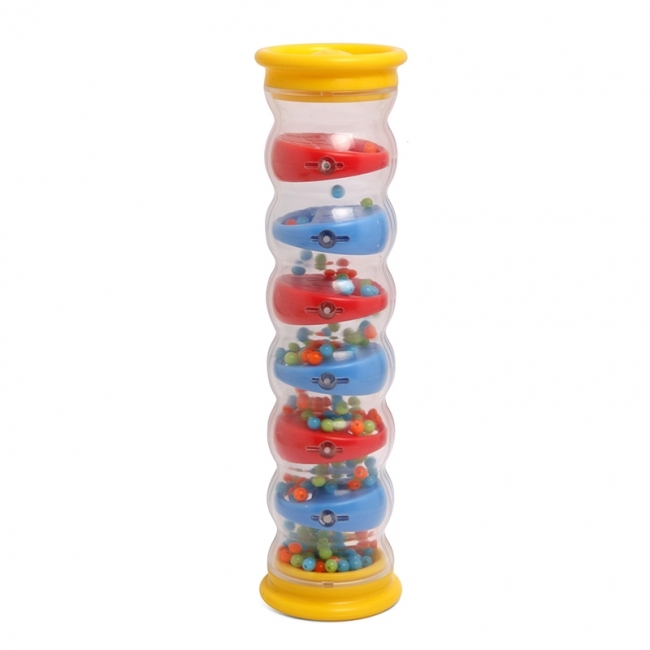 Easy to hold with smooth, curved edges, and provides a soothing shaking sound using recyclable pellets. 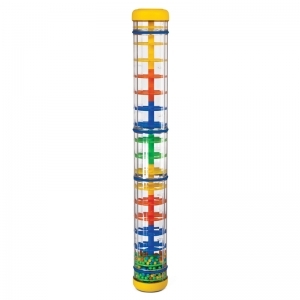 Great addition to story and playtime. The simple artwork on the face will appeal and engage. A safe loop provides an easy hanging solution for strollers, car seats, or in the house. 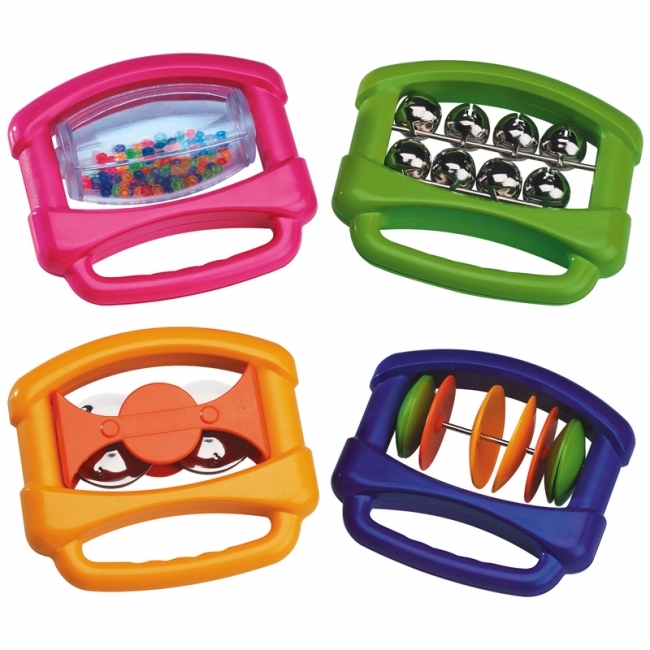 Provides rhythmic foundations that spur creativity and imagination. Spinning the handle quickly hits the attached balls and make a rhythmic drumming sound. 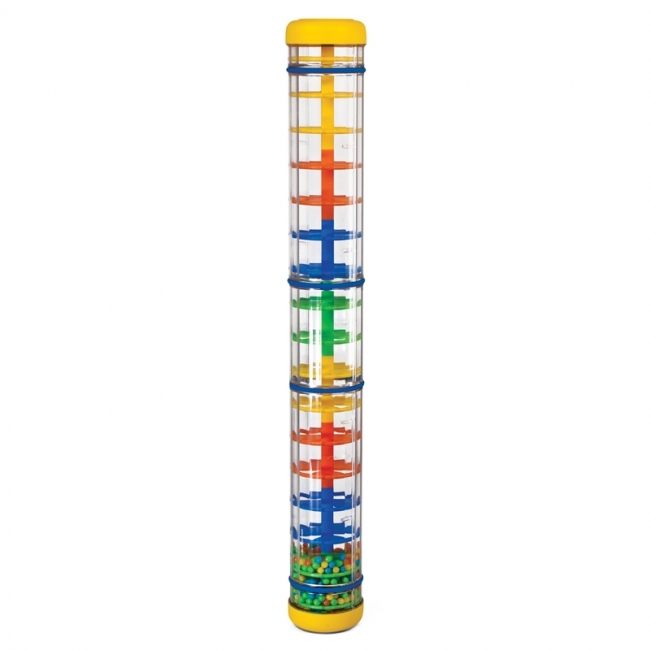 Helps improve fine motor skills and sound recognition with this 5? Rubberwood spinning drum. All wood construction made from environmentally friendly Rubberwood with a non-toxic clear coat finish and water based VOC free paint. Call the class together with this clear, bright tea bell. An enchanting musical turtle that's sure to delight! Children will adore making music with this cute, colorful, character. The pentatonic scale and accurate tuning ensure an effortless and rewarding musical experience. 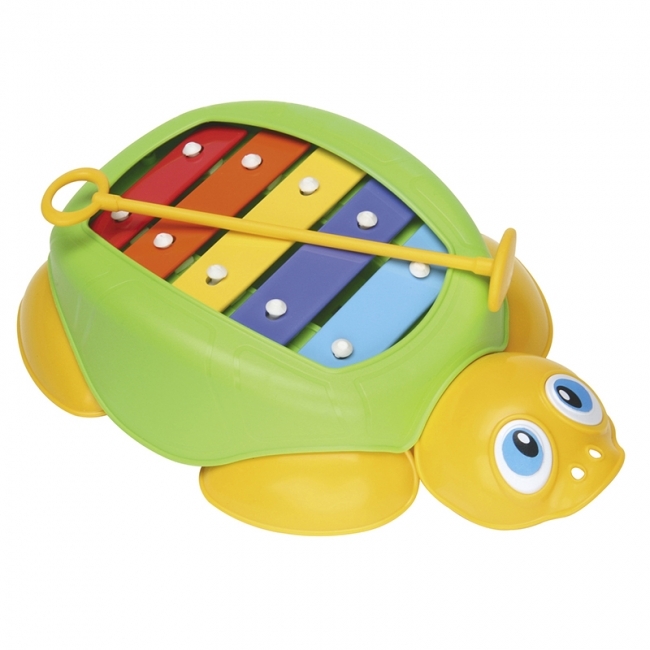 Supplied with specially designed safety mallet, the Turtle Xylophone is safe for ages +12 months. Country of Origin Israel. Includes 6" tambourine, pair of rhythm sticks, wrist bell, triangle and striker, soprano sounder and pair of 5" cymbals in a cotton drawstring bag. Ages 3 and up. 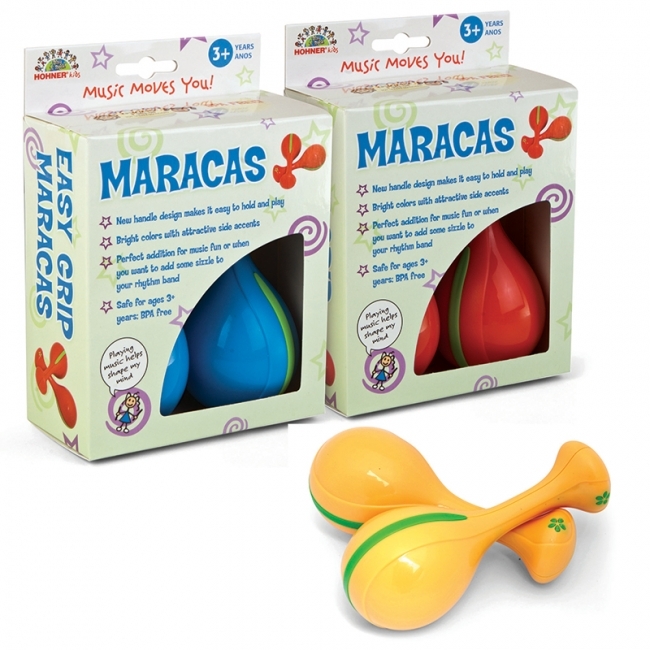 A select group of rattles and shakers which is safe for 6 months and up. Packaged in an attractive gift box. Have your whole class humming with these colorful Kazoos! 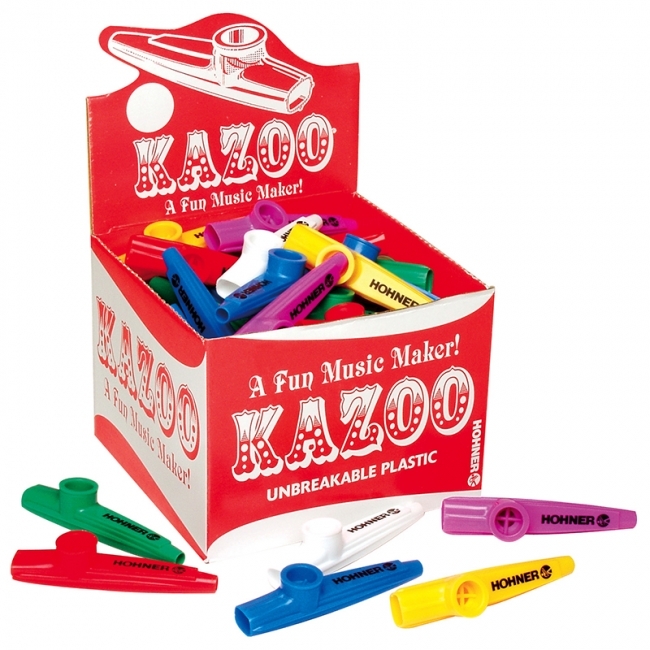 Each box includes 50 kazoos in assorted colors. Real drum sound for your first drum! 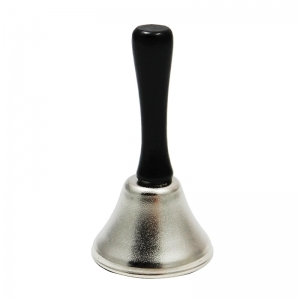 Consistently a best seller due to quality sound and safety. 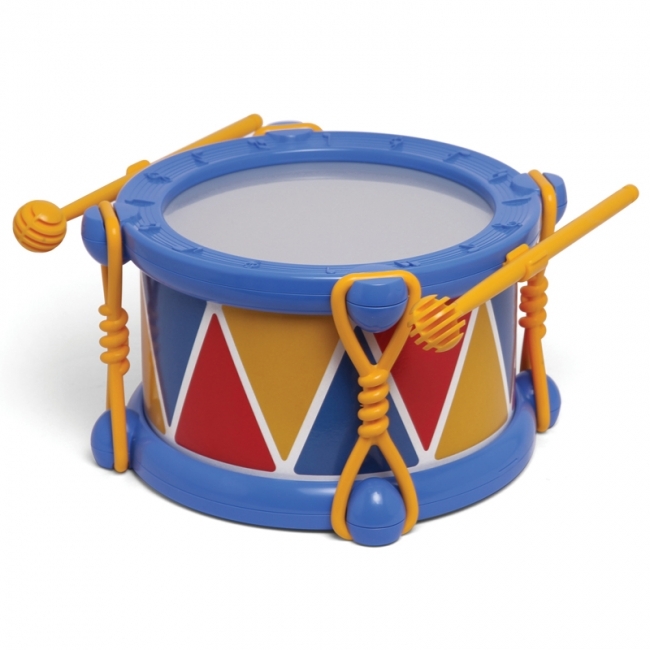 Includes two one-piece child safe mallets and a plastic head which contributes to a real drum sound. Colorful and attractive graphics on drum shell. Safe for ages +12 months. 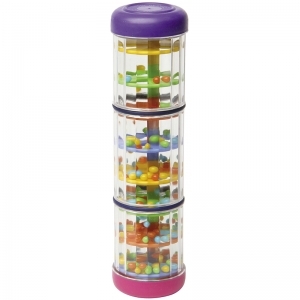 Simply turn this colorful, plastic rainmaker over to watch and hear the "rain" fall. Safe for ages +6 mos. A perennial best seller. Makes a great gift! County of Origin Israel. 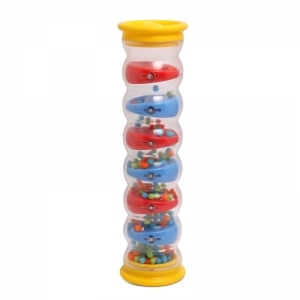 Watch & listen to the beautiful stream of beads, gently falling through the clear plastic tube, sounding like a water cascade. 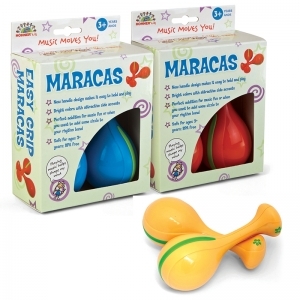 A new design with an easy-grip handle makes this pair of maracas very appealing. Bright colors and terrific sounds willl add flavor to your rhythm section. Let us choose your color. 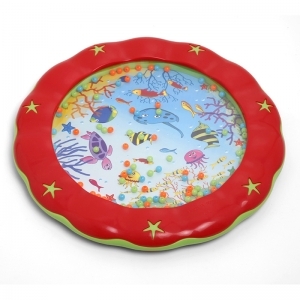 A smaller sized wave drum with a textured wave-like rim that is easy to hold. 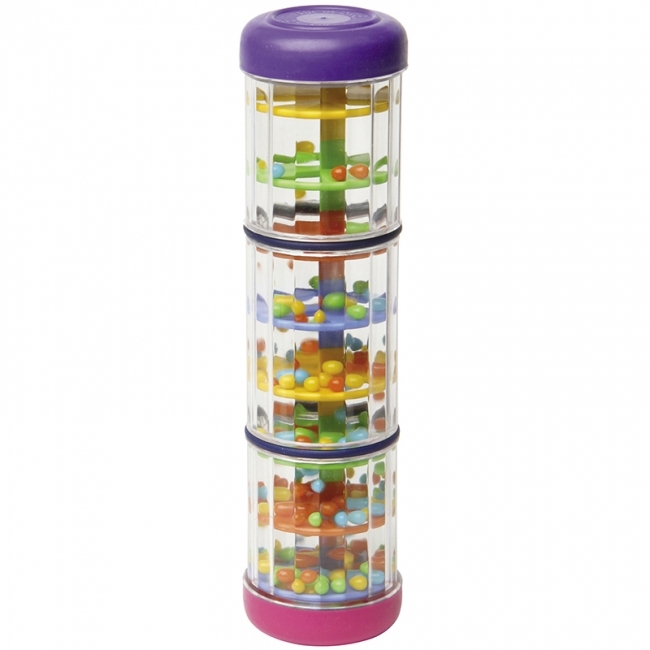 Gently tilt the wave drum and watch the colorful beads moving around inside the clear head. Creates a gentle sound of soothing ocean waves. 8.5" wide. 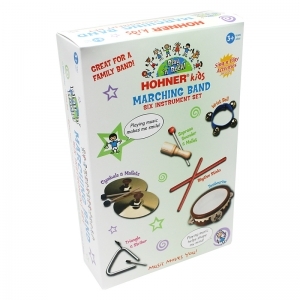 Five-piece band will get all the little ones involved in the fun of music making. 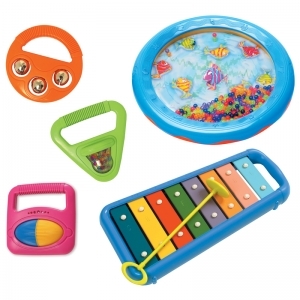 Set includes three musical shapes, wave drum and a xylophone, and comes in attractive packaging with easy to carry handle.